Far be it for me to follow a recipe exactly as the directions and ingredients specify. After all, I know best, right? There are times when that’s worked for me and times when it hasn’t. In general, cooking allows more deviation from the recipe than baking does. Baking requires more of a chemical reaction, and therefore the amounts and ratios of ingredients are important. I’ve learned that if I follow the “important” parts of the recipe as written (i.e., amounts of baking soda/powder, eggs and oils, liquid to solid ratios) the rest of my changes will probably work out. With that in mind, there’s no need to avoid recipes that have an element you don’t care for. If you don’t like a spice or herb in a recipe, switch it out for something you do like. If you don’t like nuts, leave them out. Or, in my case because I love them, add some in! 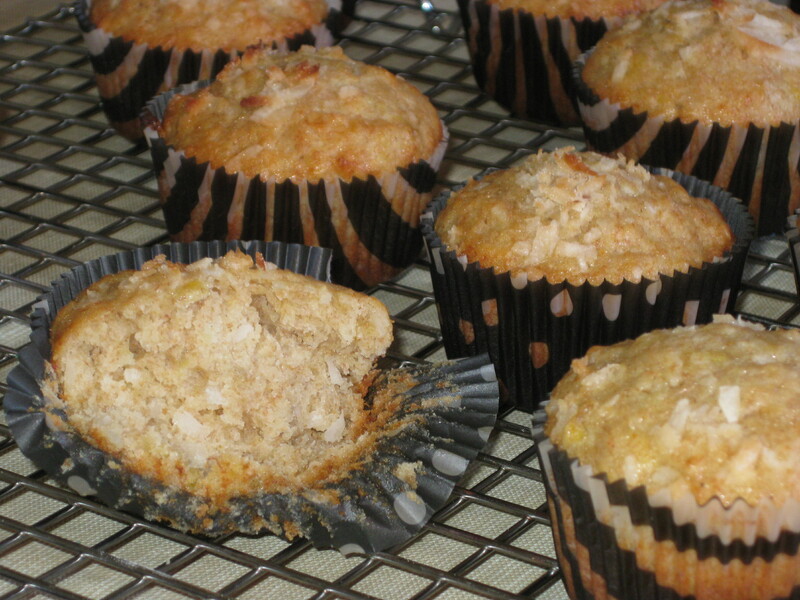 Today I tried a Banana Coconut Cupcake recipe I found on Sarah’s Place. The recipe calls these cupcakes, but they are more like a muffin and don’t need any frosting. My adaptation has a couple of tweaks – one on purpose, and one because I apparently can’t read. I substituted some whole wheat flour for regular white flour in an attempt to rationalize eating these during the final weeks before my black belt test. 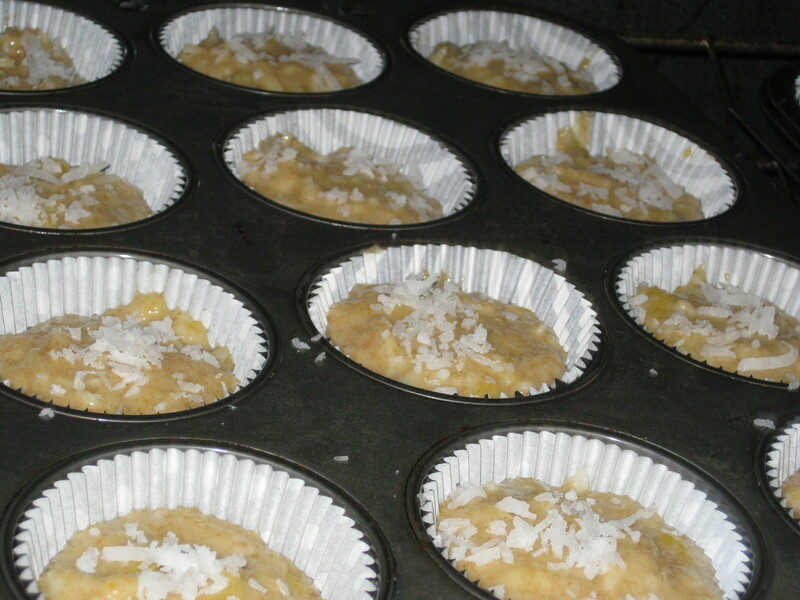 And I added all the coconut into the batter, even though I wasn’t supposed to. Oops! So…success or disaster? It was a success! Click for my adapted recipe. These didn’t require as much baking time as the recipe called for, but that could just be my oven, so be sure to keep an eye on them. Even with the whole wheat flour they baked up nice and light. No spices are needed – the banana and coconut flavor are quite nice by themselves. If I made any addition to this recipe, it might be some slivered almonds. If you’re a new cook/baker, you’ll probably be more inclined to follow recipes as written. But as you gain experience, venture out little by little. Add spices or ingredients you think would work well with the flavors. Tinker with a recipe you enjoy until it’s even better! Eventually you’ll have made changes that make a recipe “yours,” the ones that will become your go-to recipes when you need to cook or bake for friends or family. You’ll have successes and maybe a couple of disasters along the way, but the successes will be worth those few failures!